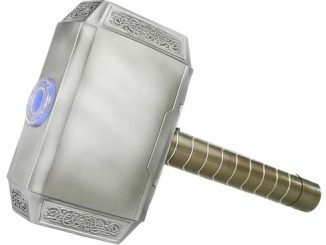 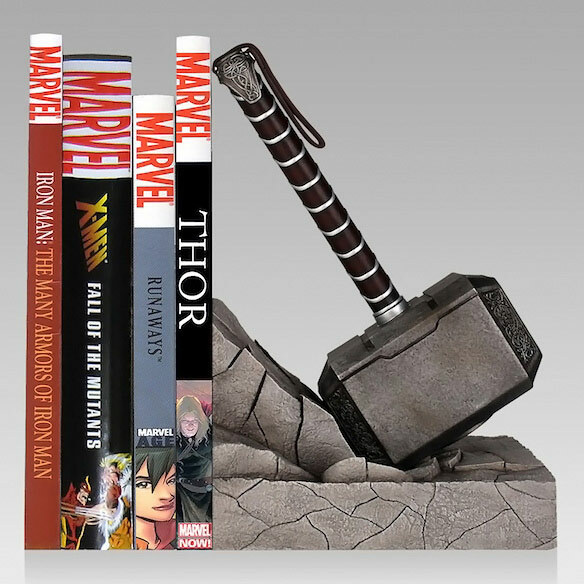 Whosoever holds this Thor Hammer Bookend, if he be worthy, shall possess the power to keep their books, DVDs, and Blu-ray discs neatly organized. 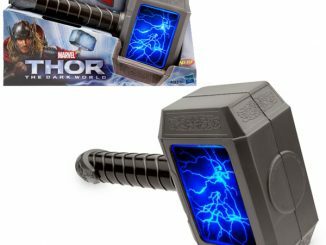 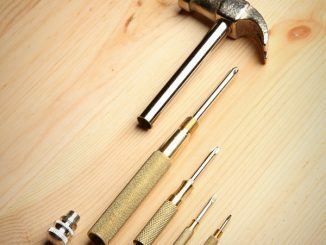 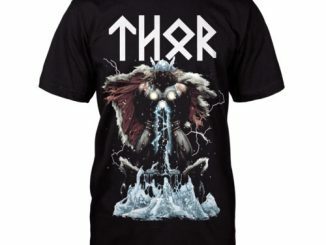 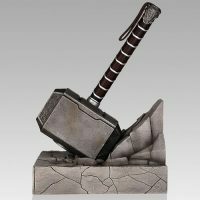 This version of might Mjölnir might not let you call down the lightning but it will let you show off your love of Thor while keeping your shelves looking nice and neat. 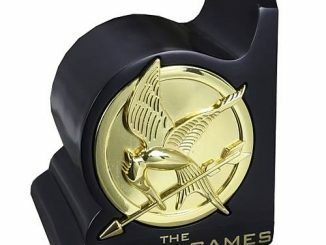 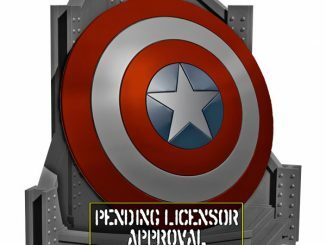 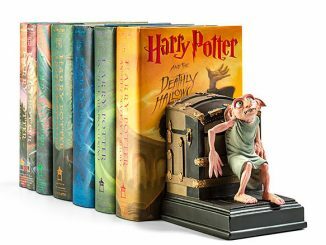 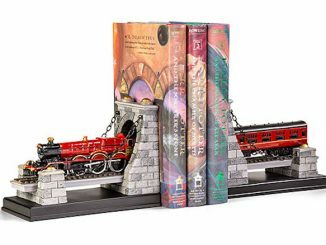 The scale replica bookend, made of high-quality polystone, is digitally sculpted by Gentle Giant, hand-painted, and individually numbered with a matching certificate of authenticity. 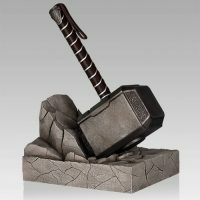 Keep everything lined up and upright in your personal Valhalla with the Thor Hammer Bookend. 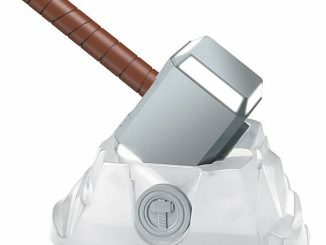 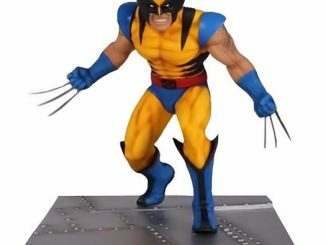 It will be available 1st Quarter 2014 but can be pre-ordered now for $88.99 at BigBadToyStore.com. 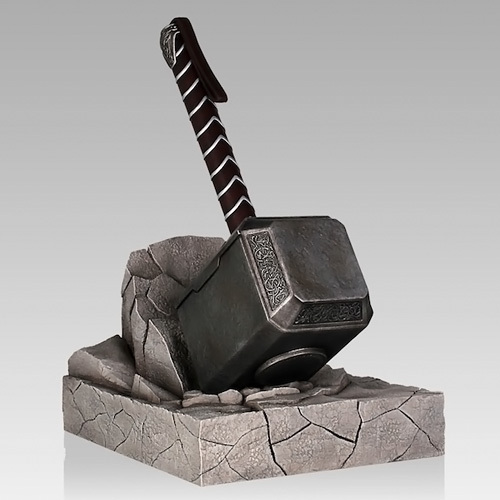 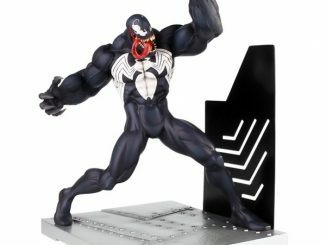 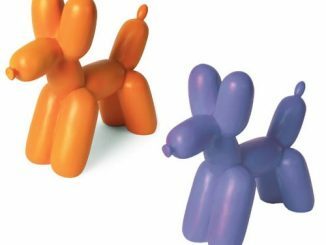 Also available for pre-order at Urban Collector for $83.99 and at Gentle Giant for $99.